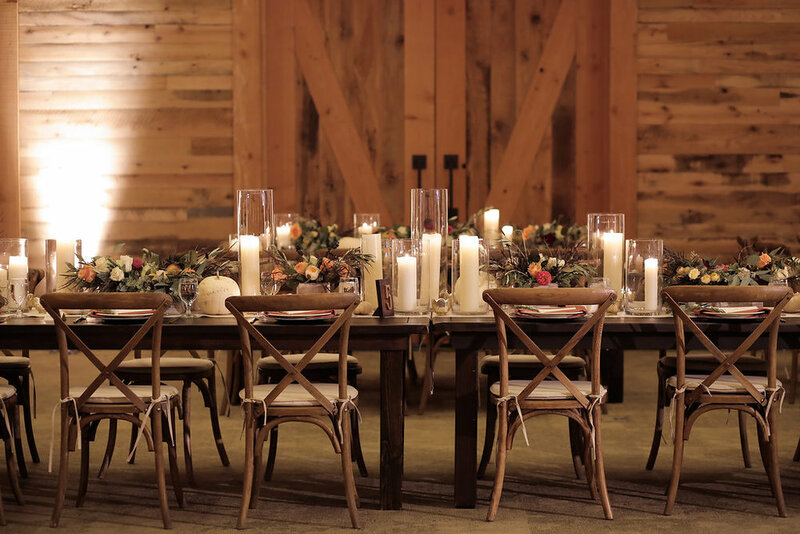 Emily and Bradon's fall wedding was one we will never forget. 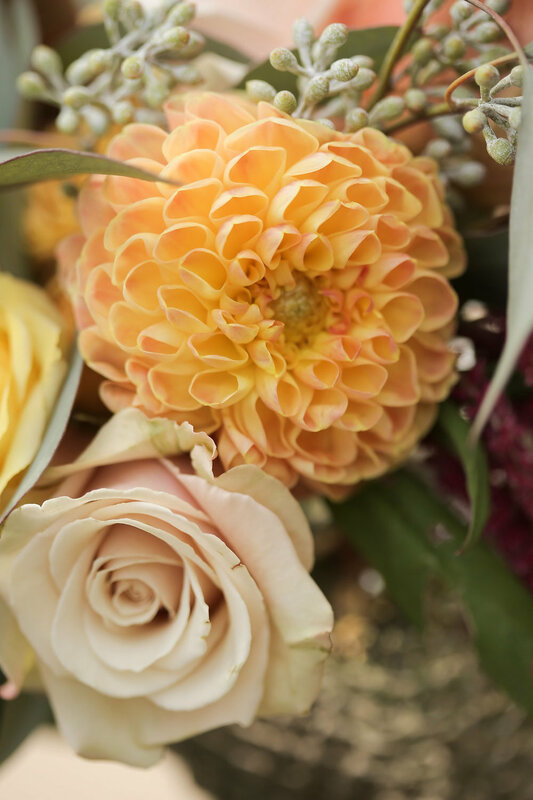 Both timeless and whimsical, these Sundance nuptials were beautiful in every way. 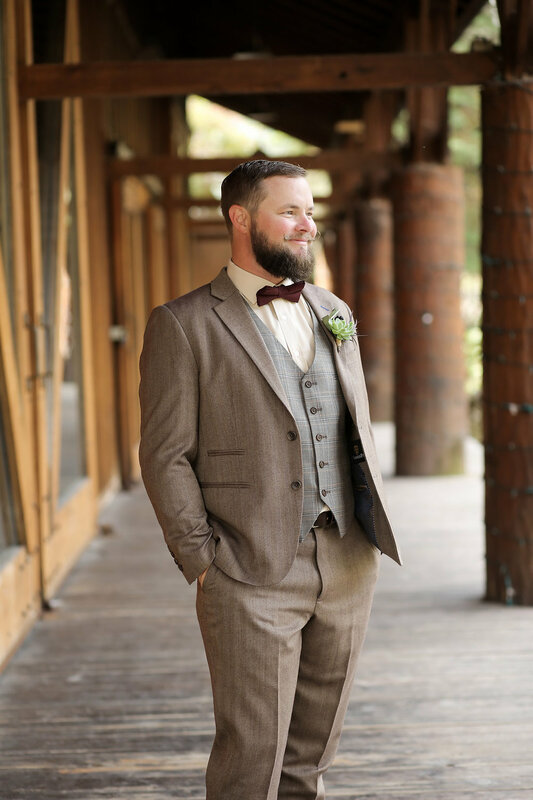 Surrounded by trees with golden leaves and their closest family and friends, this couple said "I Do" in the most amazing setting. Following the ceremony, guests enjoyed cocktail hour and then made their way into the Redford Center for dinner, dessert, and dancing. 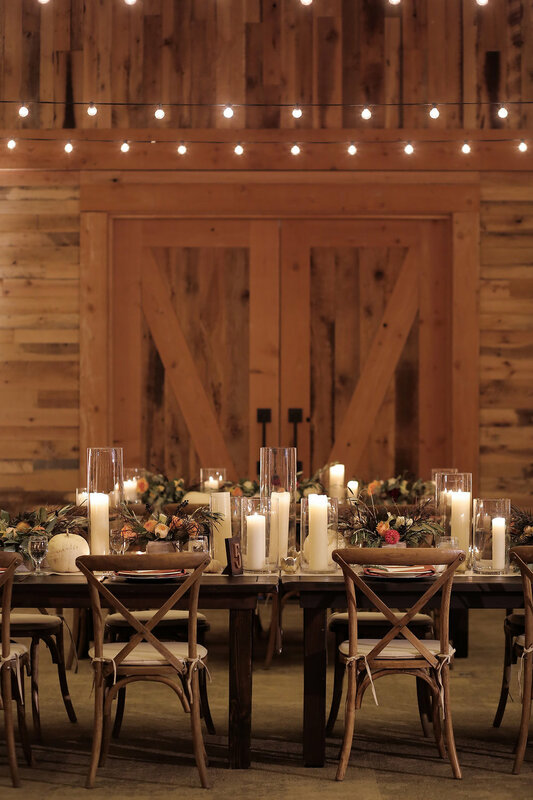 Decor consisted of a mix of round and long farmhouse tables. 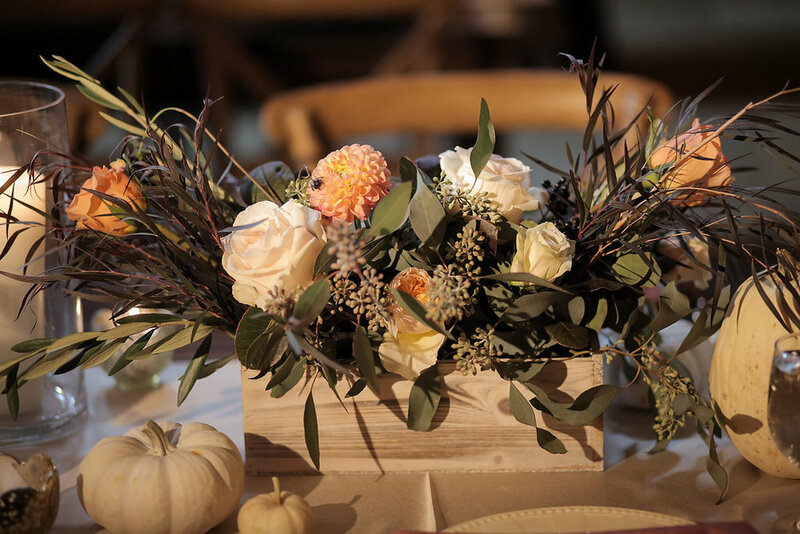 With colors like burnt orange, peach, burgundy, ivory, and hints of navy blue seen in the fresh floral, napkins, and table linens, and elements like white pumpkins and rose gold table numbers, this wedding was the epitome of fall and Pepper Nix Photography was there to capture every moment of the day. Everyone enjoyed the equally beautiful and delicious naked cake and danced the night away in a room filled with the glow of candle light. See more of this couple's big day in the 2016 issue of Utah Valley Bride. 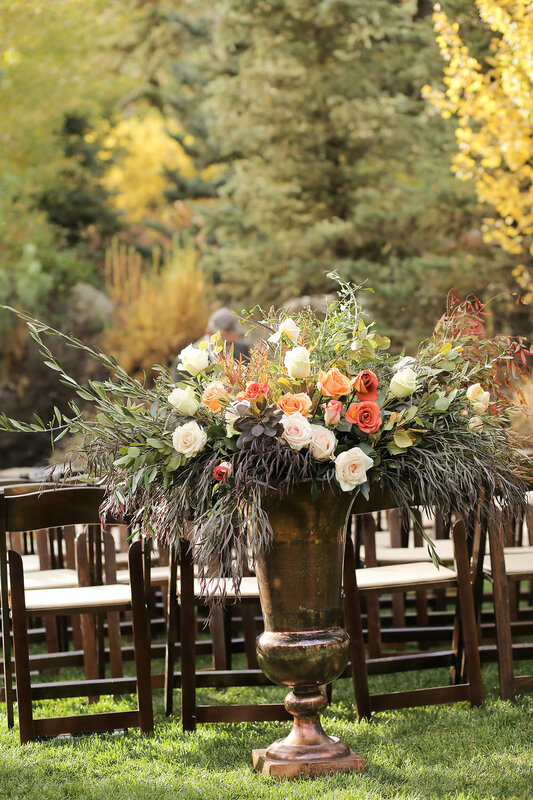 See more Sundance Utah wedding << at that link!